Every new year, I always pop onto Amazon and plug in the words "diet book" and each year, the number grows exponentially- there are now over 216,000 different ways to lose weight. Yikes! Think about that for a second. How could there possibly be over 216, 000 ways to lose weight? I can see why people are so confused about where to begin and what "diet" to try. I'll start off by saying that you are unique and so are the authors of these diet books. They range in age, gender, blood type, ethnicity, activity level, stress levels and whether or not they had a healing crisis they were trying to heal. I'm not saying that all 216,000 of these diets are wrong (well, some are downright scary-like eating fruit for every meal for the rest of your life), but the diet worked for that individual, hoping it would also work for you too. Often times it's not the diet, its that the individual has so much underlying inflammation, that nothing will work unless they address that inflammation first. Testing for food sensitivities is instrumental in helping to identify the root cause of low grade inflammation. I slowly and closely work with clients helping them heal the body and gut with a whole foods protocol. So how do you determine which dietary protocol works for you and your unique body type? You first start with the basic primal nutrition protocol and then test and use your body's inherent toolbox to discover the best food plan for you. For example, food is supposed to satisfy you, provide energy, focus and eliminate cravings. The perfect diet for us doesn't ignite cravings, it doesn't warrant eating every two hours, it doesn't cause bloating, diarrhea, gas, constipation, anxiety, depression or weight gain. Our body is always providing biofeedback with our food choices. The problem is, we aren't listening-we instead use a band-aid. If we have acid reflux, we take acid blockers. If we have bloating, we take tums. If we have constipation, we take stool softeners. If we have a headache, we take Tylenol. If we breakout (acne), we take antibiotics. All of these symptoms, are typically food and lifestyle related. 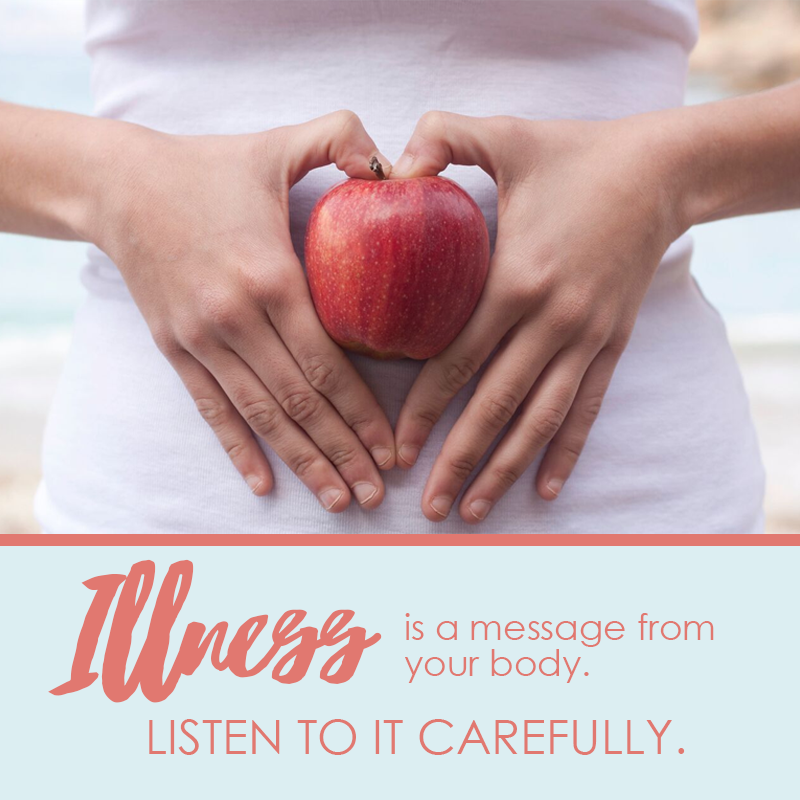 Start tuning in and listening, because your body is always talking to you. No fillers, preservatives, fake fats, vegetable oils, artificial sweeteners, stabilizers, hormones-Nada! If you are someone who's been eating every meal from a box, bag, fast-food, convenient store or a wrapper, this shift will start the engines. Just by giving up processed food for one week, you'll immediately start noticing the shifts. 3. Try a breakfast experiment. I run all of my clients through a breakfast experiment. It consists of a variety of different dietary protocols from paleo, to plant based to vegan. We eliminate one of the top pro-inflammatory foods (dairy) during the challenge to see how the body responds. After that, we discuss how each meal made them feel. Satisfied-for how long? Energized? Craving free? Digestive upset? Mucus producing? Again, using the bio-feedback from the body is essential in fine tuning your personal plan. Once we've established which foods the body loves, we start adding these foods into the daily mix and track progress every 2 weeks. If weight loss stalls, then we have to make adjustments based on their unique needs. Some people thrive on Intermittent Fasting, while others do well on 2 or 3 meals a day. Some people are missing a gallbladder, so eating 3 square meals a day isn't ideal, they may need to spread meals out. 4. Keep experimenting and try new protocols. The body is always changing and evolving. What use to work for you 5 years ago, may no longer serve you. Perhaps your style of fitness has changed or you are under more stress, your nutritional needs will vary. 5. Be patient and HONEST with yourself. Finding the best diet and lifestyle protocol takes time, so be patient with yourself. Working with a coach provides many benefits from accountability to support and guidance. That said, you have to be honest with yourself. You'll never know what works unless you try it and do it consistently. You'll never reach your goals if you eat healthy most days and then eat junk 4 days the rest of the week. It doesn't work that way. The results of eating healthy and daily exercise are cumulative-everyday is a new surprise-more energy, clearer skin, better sleep....it's a snowball effect and its addicting! If you are still struggling with finding your perfect diet, fill out these two forms A & B OR C and email them back to me to set up a strategy session. Type "I'm READY" in the subject box and receive 10% of your strategy session!